In 1904 Charles W. Chesnutt submitted three stories to The Atlantic Monthly; one, “Baxter's Procrustes,” (a light, humorous satire about book collectors’ societies that we previously featured on Story of the Week) was accepted and immediately published; the other two, including “The Doll,” were turned down. During the previous two decades, Chesnutt’s fiction had appeared widely in national magazines (in 1887 he became the first African American fiction writer to appear in The Atlantic), he published three books of fiction and a biography between 1899 and 1904, his work had been critically acclaimed—but his writing didn’t sell well enough to support his family. The three stories sent to The Atlantic were among Chesnutt’s last writings before he called it quits as a full-time author and turned his attention to political activism and his far more lucrative stenography business. One hundred years ago this month, “The Doll” was dusted off and finally published—in the April 1912 issue of the NAACP magazine The Crisis. (Chesnutt does not appear to have accepted compensation for it.) The story had been advertised by the magazine’s editors in the previous issue as “one of the literary events of the year . 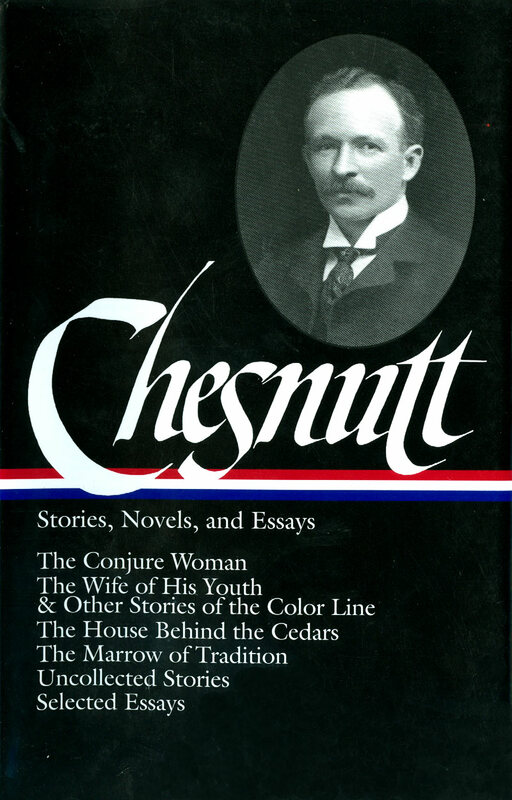 . . Mr. Chesnutt’s only published work since [his 1905 novel] ‘The Colonel’s Dream.’” It would be one of just four stories Chesnutt would publish during the last twenty years of his life—all in The Crisis. This is an incident, as indeed as are all others like it, which might well be considered with no reference to the question of race, were it not for the fact of the many similar things with which it is correlated, and the further fact that they are directed almost entirely against colored men. White criminals are not burned or otherwise lynched. But your duty here is concerned with something more important than the issue of race. Our laws are defied, our state disgraced, our civilization besmirched. When Tom Taylor, proprietor of the Wyandot Hotel barber shop, was leaving home, after his noonday luncheon, to return to his work, his daughter, a sprightly, diminutive brown maid, with very bright black eyes and very curly, black hair, thrust into his coat pocket a little jointed doll somewhat the worse for wear. . . . If you don't see the full story below, click here (PDF) or click here (Google Docs) to read it—free! Charles Chesnutt owned a summer home in Idlewild, Michigan. It is still standing and filled with memories. Idlewild was once called the “Black Eden” because of its beautiful setting in west Michigan and as a resort area for black Americans from many parts of the country. Many luminaries, such as: W.E.B Du Bois, Madame C.J. Walker, Louis Armstrong, Joe Louis, Zora Neale Hurston, Charles Chesnutt and a host of others enjoyed the fresh water lakes and white pine landscape of the area. In its heyday, on any summer weekend, Idlewild might host 25,000 guests or more. This year Idlewild is 100 years old. There are many events planned to acknowledge this milestone. Visit the Idlewild Centennial Celebration site to find out more information.